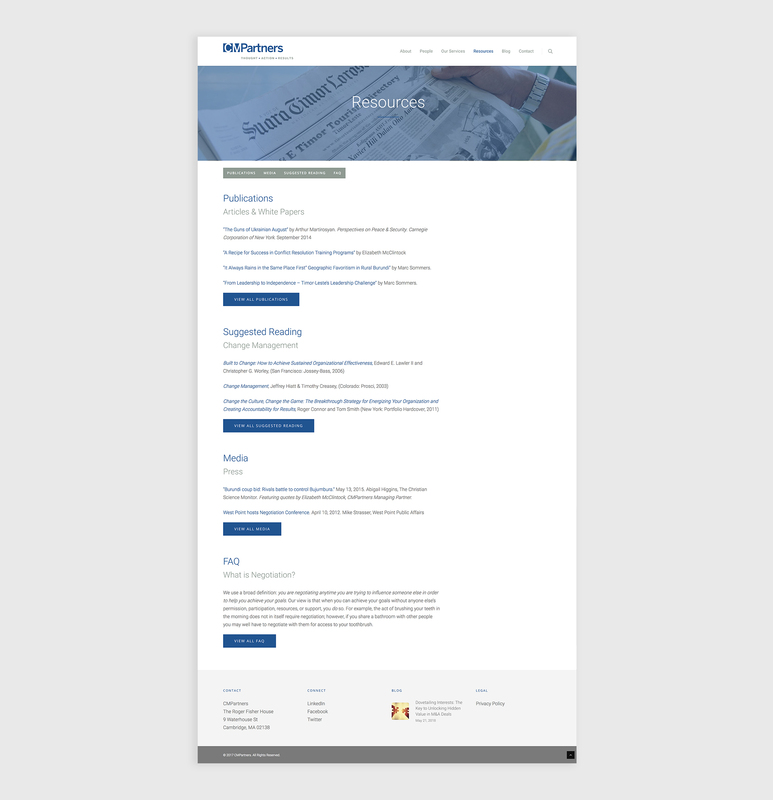 Creating a digital presence for a boutique conflict resolution firm. 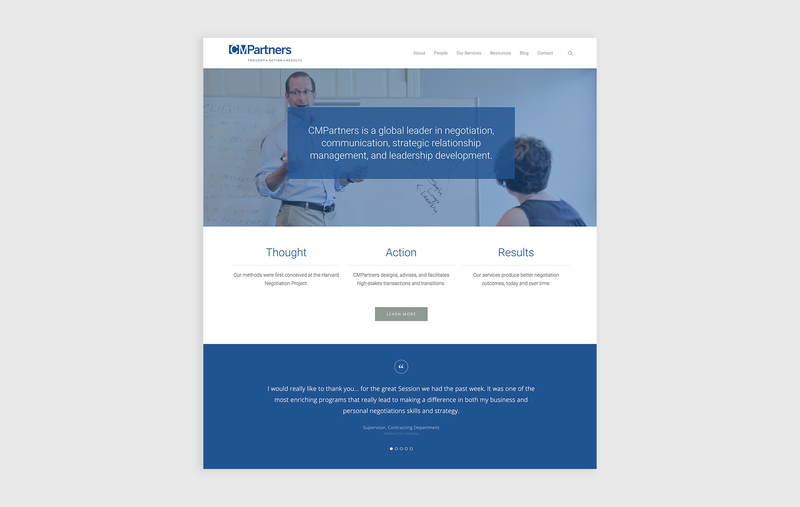 CMPartners is a consulting and training firm specializing in human interdependence management. They help their clients succeed by building their capacity to manage the complexities of human interactions. 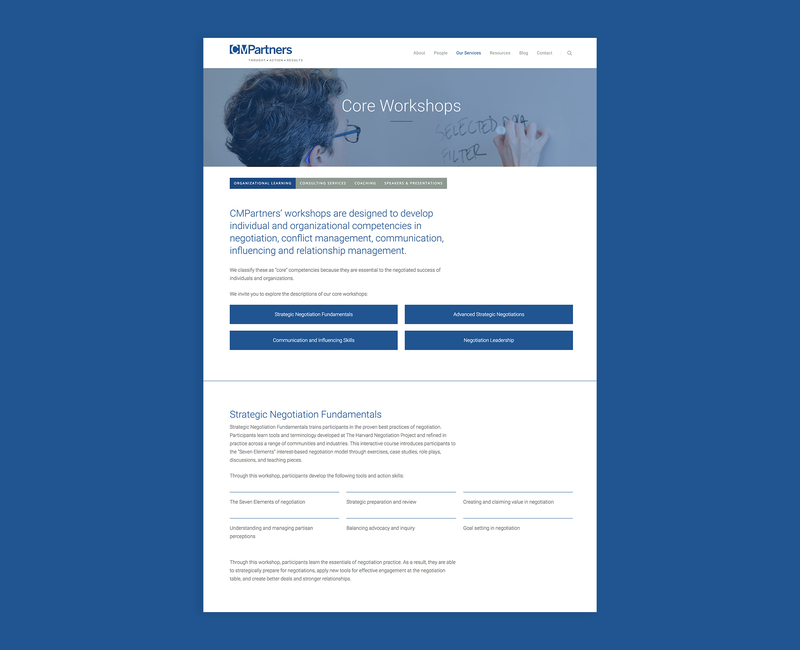 CMPartners needed a website that effectively communicated their services and expertise. Designing an effective IA based on real data was crucial in understanding how to define the locations, labels and terms for content. Card sorting helped establish groupings and labels for a variety of services. Utilizing a hybrid sort type allowed users to create their own categories which brought a deeper level of insight into the process. Tree testing was later used to validate the information gathered from card sorting. After insightful working sessions with CMPartners, I realized how complex and contextual their work is. The challenge was, how do I simplify these complex practices into digestible chunks for a broad audience to understand. After careful research and exploration, I designed and developed a website that spoke to a diverse user base. 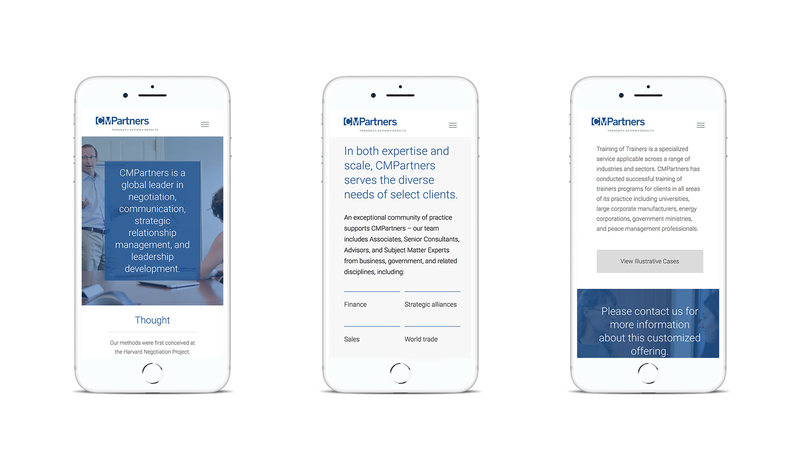 Utilizing a WordPress framework granted CMPartners the flexibility to add new content or new pages when their services or expertise expand.